By quickly lowering surface tension, Firmway delivers a more consistent playing surface. The specially selected surfactant is the key to Firmway’s success. Being a concentrated product, turf managers benefit from lower application rates. 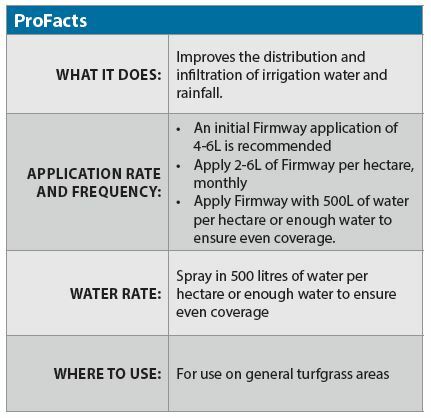 For more information about Firmway, including pricing and availability, contact your local Aquatrols distributor today!